Should doctors worry about online ratings? Some physicians, like Greenbrae, Calif., plastic surgeon Kimberly Henry, MD, who is suing her online critics, are up in arms about websites that allow consumers to rate their doctors online. Giving consumers free rein to anonymously post potentially libelous comments, they say, has disastrous consequences for physicians' reputations. Many observers, however, don't agree with Dr. Henry's extreme solution, which, as reported by the Marin Independent Journal in July, involves a lawsuit seeking millions in damages and injunctions against mostly unidentified reviewers. While negative ratings can be damaging, they say, embracing the trend may be a better strategy, since online reviewing probably isn't going away. Recent research corroborates Mr. Gandolf's advice. A study of 33 rating sites found that while use of the sites is still limited, 88% of posted reviews are positive. Also, the authors noted, most complaints were about non-clinical issues, such as wait times, and could be addressed without violating patients' privacy. The American Medical Association, which has criticized rating sites, contends that the anonymity most allow detracts from the integrity of reviews while privacy laws prevent physicians from addressing patients' concerns. According to Dr. Lagu's study in JGIM, some reviews appeared to be written by the physicians themselves. 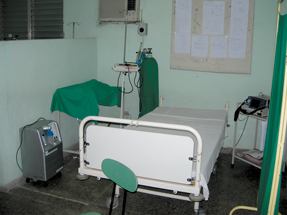 For example, explained Dr. Lagu, a typical consumer review focused on the patient's experience and practical issues surrounding the visit, whereas a subset of reviews sounded more like biographies or public relations pieces, touching on things like journal publications or professional affiliations. But is it worthwhile to fight potentially damaging reviews or more prudent to ignore them? Medical Justice, a company that advises physicians on how to avoid frivolous lawsuits, provides a tool that allows doctors to address egregious online posts. It has developed a contract template that, when signed by a patient, assigns the physician copyright of the patient's online comments. The contract encourages patients to provide feedback to their doctor, even on the Internet, said neurosurgeon Jeffrey Segal, MD, JD, Medical Justice's chief executive and founder, but can be used to force websites to remove comments deemed slanderous or fictional. Such an agreement would be used, if at all, sparingly and infrequently, and is not designed to address run-of-the-mill negative comments, he said. However, Dr. Segal said the contract is a necessary tool until rating sites adopt minimum standards of credibility. Medical Justice is working with several rating sites to help them meet those standards, he said, including verifying that the reviewer is actually a patient; setting a minimum number of reviews before a physician's online profile goes public; and limiting patient commentary to non-technical matters such as communication, timeliness or bedside manner. Website operators and critics agree, however, that the usefulness of rating sites hinges on more people using them. Right now, most doctors either aren't rated at all or have one or two reviews, making the sites of little use to consumers and giving disproportionate weight to negative reviews. So it may be in physicians' best interests to encourage their patients to use the sites. “If you have lots of ratings, you will show up well in searches and the odds of getting slammed by one or two people will dissipate,” said Mr. Gandolf of Healthcare Success Strategies. Rating websites encourage physicians to be proactive about boosting their online image. Most sites start with basic information about a physician, such as board certification, education and affiliations, but allow doctors free access to update or enhance their profile, as well as some fee-based services. Angie's List, for example, a consumer subscription-based rating service that expanded from home improvement into health care three years ago, encourages physicians to log on to the site to update their profiles and sign up for e-mail alerts about new reports, said founder Angie Hicks. “There was apprehension [among doctors] about what this all meant, but as they've come to understand how we operate, they have come around because of how we focus on the integrity of the information,” said Ms. Hicks. Reviewers' names are not made public on the site but are kept on file because only subscribers can post reviews, and anonymous reviews are not allowed. Drscore.com, launched by dermatologist Steven R. Feldman, MD, PhD, in 2005, markets itself as a low-cost way for doctors to conduct patient satisfaction surveys. Numerical ratings are free for anyone to view online, but physicians wanting more details can opt to pay $149 per year for quarterly reports showing patient scores and comments on such things as access to services and appointments and efficiency of the practice. Reports also show how the doctor compares with his peers nationally and within a specialty. On rating site Vitals.com, more than 1,000 physicians log on to edit their profiles each week, said founder Mitchel Rothschild. The rating site also allows physicians (and pharmaceutical companies) to buy advertisements, although the ads never appear alongside consumer comments or reviews, he said. Dr. Lagu agreed that online rating sites can be a way to improve your practice. However, she noted that physicians should look for a few important features. Sites should provide thorough physician listings. Some rely on patients to type in information about their doctors, but that doesn't always happen. Good sites invest in buying accurate, up-to-date information from medical specialty boards. Surveys should contain constructive questions that delineate clinical from non-clinical issues and give patients the opportunity to add comments. Physicians should beware of sites that let doctors purchase enhanced, more visible profiles without labeling them as advertisements. One way to determine which sites are getting the most consumer traffic is to do a search of your name on Google Maps or Yahoo Local, said Mr. Gandolf. These sites aggregate data from a variety of sources, such as Healthgrades and Vitals, and sites with the most ratings are more likely to show up on the first page of the search results, he explained. Urmimala Sarkar, MD, MPH, an internist and assistant professor at the University of California San Francisco, became interested in online ratings while looking for a good pediatrician for her child. As a doctor, she assumed that what happened in the exam room would be the most important rating criteria. But she learned that other parents were just as concerned with the front office. Similar to Dr. Lagu's findings, Dr. Sarkar's study, which looked at two public rating websites, Yelp.com and Ratemds.com, found that 67% of the online reviews surveyed were positive. 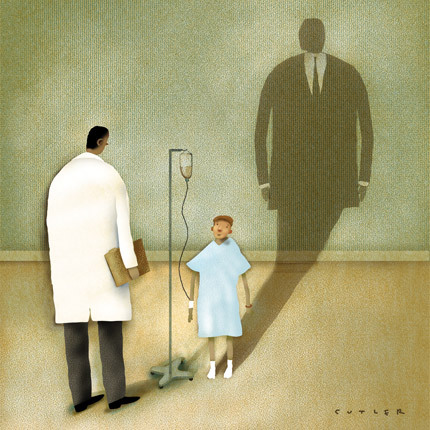 Top concerns of reviewers included whether a doctor was empathetic and a good listener, interactions with front-office staff and access to care. Both studies carry a lesson for doctors: Patient satisfaction extends beyond patient-physician rapport, said Dr. Lagu. The findings are also a reminder of the importance of connecting and communicating with patients, said Dr. Sarkar. Susan Shepard, RN, director of patient safety education for The Doctors Company, a physician insurance provider, pointed out that whenever patients review any aspects of a practice, even negatively, they are giving the physician important feedback about the patient experience. Ms. Shepard advised physicians to provide a forum for patients to address concerns, and encourage patients to use it. Ask patients at the end of the visit if they have concerns or questions, develop a policy for handling complaints and use a patient satisfaction survey, she recommended. “Patients who have no other avenue for expressing their concerns and frustrations may turn to review sites,” she said. 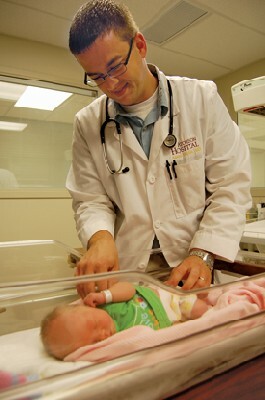 Patients who feel like their doctor has shown empathy and respect are also more likely to post positive reviews, regardless of the clinical circumstances of the visit, said Mr. Falchuk of Best Doctors, which contracts with large companies to provide health care decision support to their employees and runs a selection service that helps people find the right physician for their medical condition. “There will always be people out there who don't like you or the interaction they had with you. But if they feel like they connected with you in some way, they won't go and say bad things behind your back,” he said. “The thing patients want most is trust and knowing that they are the most important person” in the doctor-patient relationship. 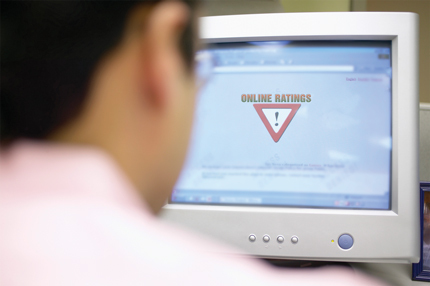 Ultimately, online rating sites should enhance public reporting data on quality of care, said Dr. Lagu. The technical aspects of care are important, she said, but subjective reviews tend to have a greater impact on patients' choices.